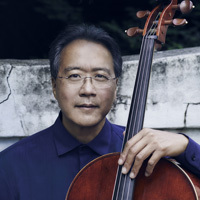 Yo-Yo Ma returns to the Greek Theatre for a special chamber music concert. Ma has been performing Bachs complete cello suites for decades and lends a wisdom, playfulness, and depth of expression to these seminal works. Cellist Yo-Yo Ma performs The Complete Bach Suites Sunday, September 30, 2018 in the Greek Theater.